Tom brings to trainED his extensive experience in government relations and internal affairs for employers and higher education institutions. In addition to having assisted numerous internal investigations on behalf of higher education clients, Tom has provided counsel for a U.S. Senate investigation of higher-ed institutions. 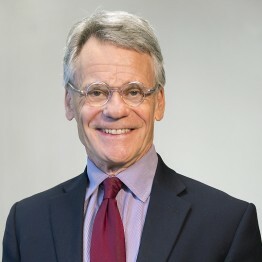 He serves as the only non-university member of the University of Minnesota’s Institutional Conflict Review Panel, for which he offers counsel on potentially adverse conflicts of interest facing the university. He also has served as an adjunct professor at the University of St. Thomas. As a former Hennepin County Attorney, Tom brings a wealth of knowledge regarding higher education matters that can often overlap with police investigations and criminal prosecutions.